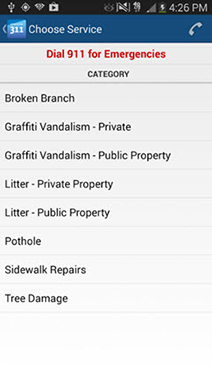 The Edmonton 311 App makes it easy to report your concerns while you're on the go. 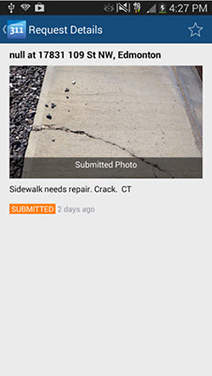 You can also send a photo with your request and use your smartphone's GPS function to pin point an issue's location. If you are reporting an issue from a different location, tap and drag the pin to the right location. 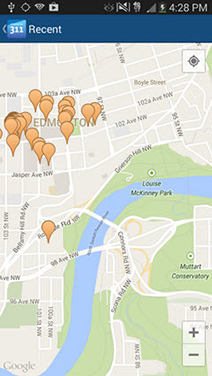 Be our city's eyes on the streets and help keep Edmonton great! 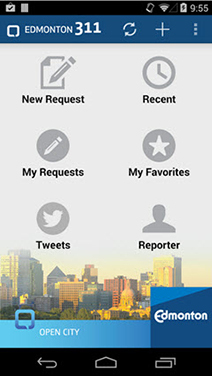 The 311 Contact Centre provides citizens with 24-hour information and access to City of Edmonton programs and services. 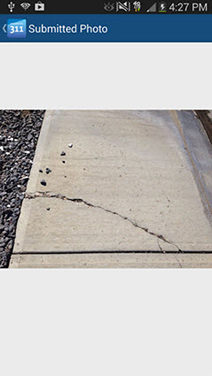 Learn more about the 311 Contact Centre's services. 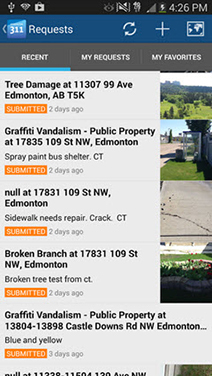 Search for “Edmonton 311" or download directly.